PSA: If you are a fan of the beards everyone and their brother seem to be growing now since the whole Duck Dynasty phenomenon rolled across the states this public service announcement may be for you. I am actually a huge fan of the beard, unfortunately my husband’s job will not let him have a beard now. 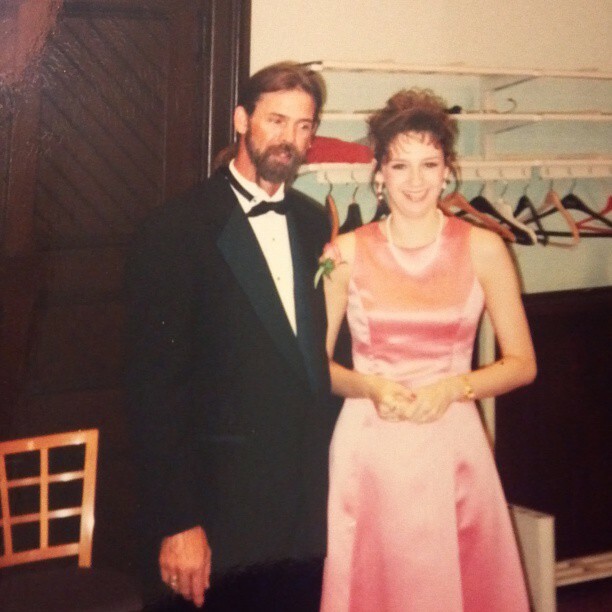 He had a beard when we married 19 years ago. My father in the above picture was very handsome with a beard. This was taken about 16 years ago at my sister’s wedding. With this in mind I feel the need to educate men everywhere– NOT everyone should sport this hairy look. If you are comfortable with the beard, then by all means keep growing it out, who am I to squash your dreams of a wooly face. There are just some things you should keep in mind if you are growing a beard, a beard that could hide a sandwich, remote control, and top-secret intel comfortably. I know the saying ‘to each their own’- I get it, I do. I just want you as the prolific beard cultivator to know a few things. 1. If you were not cute before you decided the manliness you are going to exhibit would be follicle in nature, you won’t be cute after it grows out about a foot. Not everyone can be Jase Robertson from The Duck Dynasty crew and pull it off as easy. Plus, his personality shines through his hairy face and you may not be as burly loveable. 2. Some beards only make you look crazy. On a scale of Old Father Time, Rip Van Winkle, and the Unabomber how crazy does your family think you look? 3. If women clutch their purses tighter when you walk by, you may need to grab a razor and shave your face! 4. I actually like the beard fad, but it is not for everyone. So do what your family tells you to do. More than likely if they are telling you that you look like you belong in a fenced-in compound somewhere in the desert, you may want to shave. 5. There is something to be said for George Clooney smooth. I have nothing more to add here. So either grab a razor or don’t, either way I hope my PSA helped you in your beard growing quest. I’m your clean shaven kind of guy. I have a good jaw line.